The due process hearing in this matter convened on April 13, 14, 15, 19, 20, 21 and 27, 2010, before Timothy L. Newlove, Adminstrative Law Judge (ALJ) from the Office of Administrative Hearings (OAH), State of California. David M. Grey, attorney at law from the office of Grey & Grey, represented Parents and Student. Student attended the entire hearing. Student’s Mother attended the majority of the hearing. Jennifer Brown, attorney at law from the office of Best, Best & Krieger, represented the Tustin Unified School District (Tustin or District). Dr. Lori Stillings, an Assistant Superintendent of Special Education for the District, also appeared at the due process hearing. On July 31, 2010, Parents on behalf of Student, through counsel, filed with OAH a Request for Due Process Hearing and Mediation (Complaint). On November 17, 2009, pursuant to an order issued by OAH granting Student the right to file an amended pleading, counsel for Parents and Student filed with OAH a First Amended Request for Due Process Hearing and Mediation (First Amended Complaint). On January 5, 2010, OAH issued an order continuing the scheduled hearing date, thereby tolling the decision timeline in the matter. For the due process hearing, Student’s attorney requested communication access real-time translation (CART) services pursuant to Civil Code section 54.8. OAH granted this request and provided CART services for Student at the hearing. At the close of the hearing, the parties agreed to a briefing schedule. On May 10, 2010, counsel for Student and the District submitted closing briefs. The ALJ marked Student’s brief as Exhibit S-36 and the District’s brief as Exhibit D-53, and closed the record. The issues in this case are whether, for the June 9, 2009 and October 22, 2009 individualized education program (IEP) meetings held by the District on behalf of Student, the District denied Student a free appropriate public education (FAPE) by failing to properly assess, consider and provide Student with CART services? Student is hard-of-hearing. She has a cochlear implant in her right ear and a hearing aid on her left ear. She has difficulty hearing and understanding everything that is said in the classroom. The District held IEP meetings in June and October 2009 relating to Student’s freshman year in high school. At these meetings, her Mother requested that the District provide CART services for Student in her four academic classes. The District deferred making a decision on this request, and sought permission to assess Student’s need for CART services in high school. Mother only recently provided consent for this assessment. Student contends that the District denied her a FAPE by not assessing her need for CART services, by not properly considering her request for CART services, and by not providing CART services in her special education program developed at the June and October 2009 IEP meetings. Student contends that, as a hard-of-hearing pupil, California statutes guarantee that her special education program contain services that provide direct and equal communication access to instruction and discussion in the classroom. Student further contends that the real-time verbatim transcription provided by CART is the sole service that meets this standard. In response, the District points to the excellent progress that Student has made in public schools. The District disagrees that Student’s IEP team needed to develop an IEP that guaranteed equal communication access. Instead, the District contends that the “educational benefit standard” guided Student’s IEP team and that the team met this standard because Student’s June 2009 IEP, which established her special education program for ninth grade, was reasonably calculated to provide her with educational benefit. Based upon the following Findings of Fact and Conclusions of Law, this Decision determines that the Tustin Unified School District did not commit procedural violations of special education law as regards the assessment of Student and the development of her IEP. The Decision determines that the state statutes advanced by Student require an IEP team to make certain considerations in the development of an individualized education program for a deaf or hard-of-hearing child, but do not create a substantive FAPE standard. Finally, the Decision determines that Student’s June 2009 IEP was appropriate without providing for CART services. 1. The Student in this matter is a fifteen-years-and-nine-month-old female who currently is a ninth-grade pupil at a District high school. Student qualifies for special education as a pupil who is hard-of-hearing. She resides with her family in a home that is within the confines of the Tustin Unified School District. 2. Student was born with severe to profound hearing loss in both ears, a condition that her Parents discovered when she was seven months old. At the age of 12 months, Student received hearing aids. A hearing aid is an electronic device that brings amplified sound to the ear and consists of a microphone, amplifier and receiver. At the age of 14 months, Student started receiving auditory-verbal therapy from Karen Rothwell-Vivian, a licensed Audiologist and certified Auditory-Verbal Therapist. Auditory-verbal therapy (AVT) is a methodology that teaches a hearing-impaired child how to use a hearing aid or cochlear implant to understand speech and learn to talk. The principles of AVT stress the acquisition of spoken language, full mainstreaming into the regular education system, and parental involvement in helping the child to listen and speak. For the past 14 years, Ms. Rothwell-Vivian, as a licensed non-public agency, has provided AVT for Student, and the District has funded such services. 3. In May 1998, at the age of three years and nine months, Student underwent surgery for a cochlear implant in her right ear. A cochlear implant is a medical device designed to assist individuals with severe to profound hearing loss to interpret speech and sounds. A cochlear implant has external and internal components. The external components include a microphone, a speech processor and a transmitting coil. The internal components include a receiver/stimulator that is located directly under the skin and an array of electrodes, implanted in the cochlea, that emit electrical charges to stimulate the auditory nerve fibers. Student wears a hearing aid on her left ear. 4. Since receiving the cochlear implant, Student has made remarkable progress in her abilities relating to receptive and expressive communication. Shortly after the implant surgery, Ms. Rothwell-Vivian conducted an evaluation which showed that Student’s language level was 11 months behind her hearing age and 23 months behind her chronological age. Gradually, Student closed this gap with improvements in language comprehension, language expression and auditory skills. 5. Student is an oral-deaf person. Her chosen mode of communication is spoken English. She has attended schools within the Tustin Unified School District since kindergarten which was the 2000-2001 school year. Student has attended regular education classes with typically developing peers, and she has passed from grade to grade. During elementary school, the District assisted Student with an FM sound-field system in her classes. With a sound-field amplification system, the teacher’s voice is transmitted from a microphone to speakers that are mounted on the classroom ceiling or walls. During middle school, the District assisted Student with a personal FM system which has two main parts: a microphone for the person speaking (usually the teacher) and a receiver that delivers the voice signal to the hearing aid or cochlear implant of the pupil. With the personal FM system, Student carried the microphone to each class for use by her teachers. 6. Although Student’s preferred mode of communication is the spoken word, she is adept at lip-reading which she uses to supplement her hearing. Student better understands spoken language when she is facing the person who is speaking. 7. Student has certain unique needs caused by her hearing impairment. She can experience difficulty following a discussion in a large group, including the classroom setting. In this vein, she has difficulty hearing and understanding a speaker when there is background noise. She has trouble hearing and repeating the final consonant blend in words. She also has trouble following rapid speech. 8. For the 2007-2008 school year, Student attended seventh grade at Pioneer Middle School which is within the District system. During this school year, Student took the following general education courses: Culinary Arts, Peer Assistance Leadership (PAL), Social Science, Pre-Algebra, Life Science and Physical Education. Except for a “C-” in Pre-Algebra, Student earned “A”s and “B”s in her classes, and she easily passed into the eighth grade. The PAL class was an elective course which involved the pupils performing community services such as tutoring children in elementary schools and fundraising. 9. 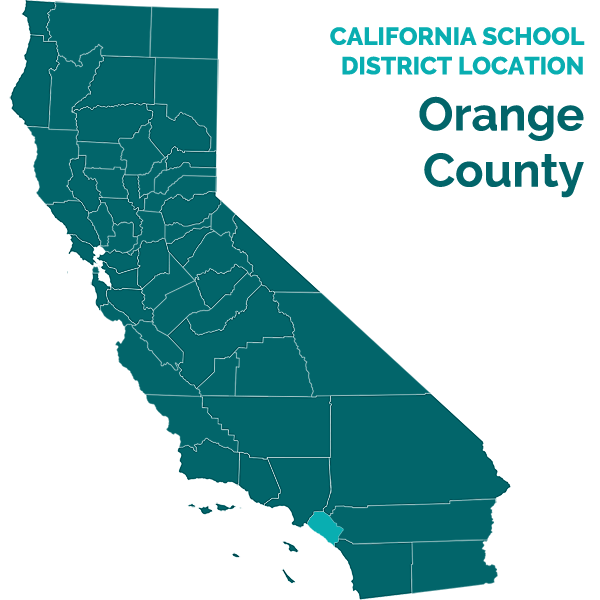 California schools follow a Standardized Testing and Reporting Program (STAR) which requires districts to administer California Standards Tests (CST) to pupils in grades two to 11. In seventh grade, Student scored proficient scores in English Language Arts and Math on the CST. In eighth grade, Student scored basic in English Language Arts, and proficient in Math, History and Science on the CST. 10. On June 9, 2008, at the close of her seventh grade year, the District held an annual IEP meeting for Student. The purpose of the meeting was to establish Student’s special education program for the 2008-2009 school year which was eighth grade for her. The IEP team, including Mother, agreed upon a program that contained the following features. The team developed five goals. One goal sought to improve Student’s abilities in the area of written expression, and Ms. Rothwell-Vivian submitted four goals to improve Student’s abilities of auditory comprehension and oral expression. The team agreed that Student required an FM system in her classrooms. The team agreed to continue to provide Student with AVT services through Ms. Rothwell-Vivian in the amount of two 60-minute sessions each week. The team also agreed to provide Student with services which included resource consultation with her teachers and the monitoring of the FM system. 11. In addition, the June 9, 2008 IEP included numerous accommodations designed to assist Student in the classroom. These accommodations included the following: (1) preferential seating by placing Student with a clear view of the teacher and with her right ear closest to the speaker; (2) presenting directions and new words by facing Student; (3) helping Student to know who is talking or reading; (4) providing extended time on classwork, if needed; (5) providing homework assignments visually; (6) providing an extra set of textbooks; (7) providing Mother with tests in History, Language Arts and Science a week in advance; (8) providing study guides for tests a week in advance; and (9) providing hard copies of notes or outlines a week in advance before any test based upon such notes or outlines. 12. At the June 9, 2008 IEP meeting, for the first time, Mother raised the issue of providing Student with CART services. Mother informed the IEP team that she was concerned about her daughter’s transition from middle to high school. Mother provided the team with a three-page document entitled “Real-Time Captioning” which described speech-to-text technology and the benefits that deaf or hard-of-hearing pupils derive from CART services. The IEP notes for the June 2008 meeting state that “The district will respond to this request in writing by June 25, 2008,” but no response was forthcoming. 13. Communication access real-time translation, or CART, is an assistive technology that is comparable to court reporting. CART services involve a captionist who, like a court stenographer, enters spoken words and sounds into a stenotype machine. Computer software then translates the entries into real-time captions which usually appear on a laptop computer screen placed near the deaf or hard-of-hearing individual who can view the screen to follow the discussion. CART is a speech-to-text system that provides word-for-word transcription. 14. Sandy Eisenberg testified on behalf of Student at the due process hearing. Ms. Eisenberg operates a business called Total Recall Captioning which provides CART services for many organizations, including school districts, colleges and universities. According to Ms. Eisenberg, a trained CART captionist should be able to make entries at 180 words per minute which results in an accuracy rate of 95 percent or greater. Ms. Eisenberg stated that for pupils CART offers many benefits, including an improved ability to understand classroom discussions, take notes, and build vocabulary. Through CART, a pupil also has the opportunity to receive a transcript of a classroom proceeding. Ms. Eisenberg stated that her company charges 55 to 60 dollars per hour for providing CART services. Before the due process hearing, Ms. Eisenberg had not met Student, and she has not observed Student in the classroom. 15. On August 18, 2008, Student presented for an audiology evaluation at the House Ear Institute. For the evaluation, Student had the cochlear implant in her right ear, but did not wear her hearing aid for the left ear. The audiogram from this evaluation showed that Student had hearing in her right ear with the cochlear implant at 20 to 30 decibels from 250 to 4000 hertz. This result indicated that, with the cochlear implant, Student had access to hearing all sounds in the speech spectrum. The audiogram also showed that Student had profound hearing loss in her unaided left ear. 16. For the 2008-2009 school year, Student attended eighth grade at Pioneer Middle School. During the first semester, she took the following regular education classes: Spanish I, Algebra I, PAL, Language Arts, Social Science, Physical Science and Physical Education. For the second semester, Student maintained the same course work, except that she transferred into the honors classes for Language Arts (English) and Social Sciences (United States History). 17. Student used her personal FM system for each class during the first semester of eighth grade, but she ceased using the system for the second semester. Starting in sixth grade, Student had experienced problems with the FM system. The equipment produced static which annoyed Student and caused headaches. The FM system also amplified unwelcome noises such as the movement of the teacher and whooshing sounds. District personnel were not successful in attempts to fix these problems. 18. On April 24, 2009, the District sent to Parents an Individual Assessment Plan. Laura Gonzalez prepared the plan. Ms. Gonzalez is a School Psychologist for Tustin Unified School District. The assessment plan concerned the District’s triennial evaluation of Student. The plan informed Parents that the District intended to evaluate Student in the following areas: (1) academic/pre-academic achievement; (2) intellectual development; and (3) health/vision/hearing. 19. On April 26, 2009, Mother signed the assessment plan, but did not check the box indicating parental consent. Instead, with regard to the proposed evaluation for academic/pre-academic achievement, Mother wrote: “No not necessary. Look at her grades & STAR test results.” With regard to the proposed evaluation for intellectual development, Mother wrote: “No not necessary. See 5th grade IQ test.” Subsequently, Mother discussed the plan with Ms. Gonzalez. Mother informed Ms. Gonzalez that she did not have concerns about Student’s academics, and did not like the intrusion of further testing. Ms. Gonzalez informed Mother that the District has a duty to assess a special needs pupil every three years. After this discussion, on May 1, 2009, Mother gave consent to the proposed assessment plan. 20. On May 5, 2009, the District sent to Parents a second Individual Assessment Plan. This plan amended the assessment plan dated April 24, 2009, by adding two additional areas of evaluation: (4) language/speech/communication development and (5) District audiologist testing. On May 6, 2009, Mother gave written consent to the amended assessment plan. 21. The District retained Maria Abramson, Doctor of Audiology, to perform the audiological evaluation referenced in the May 5, 2009 assessment plan for Student. Dr. Abramson received a masters of science in audiology from the University of Washington in 1979. Since that time, she has provided audiology services in a variety of settings, including school districts throughout Southern California. She is highly qualified, and capable of performing an audiological assessment of Student. 22. Dr. Abramson testified at the due process hearing and was a persuasive witness. She stated that, after the District retained her services, she reviewed the House Ear Institute audiology evaluation, dated August 2008, which was the most recent information that the District possessed concerning Student’s hearing. Dr. Abramson recommended that the District test Student to acquire information that did not appear in the House Ear Institute audiogram. This information included Student’s ability to hear with her left ear aided by the hearing aid, and Student’s ability to recognize words in quiet and in noise. With this additional information, Dr. Abramson intended to concentrate on adjusting or improving Student’s FM system. She testified that a functional FM system would enhance the voices of persons speaking in the classroom and thereby improve Student’s ability to hear and understand what was occurring in her courses. She opined that a functioning FM system would be appropriate for Student because she is an excellent auditory learner. Dr. Abramson testified that, with the cooperation of Student and her Parents, she could adjust or improve the FM system for use in the classroom. Despite repeated attempts to schedule an appointment, Mother did not permit Dr. Abramson to perform an audiological assessment of Student. 23. The District’s triennial assessment of Student was conducted during May and June of 2009, and consisted of a health evaluation performed by a District nurse, an Auditory-Verbal Progress Report prepared by Karen Rothwell-Vivian, a Speech and Language Report prepared by Cynthia Negru, a Multidisciplinary Report prepared by Laura Gonzalez, teacher observations of Student and classroom observations of Student. For the evaluations, Student met with the District assessors in their respective offices and wore her hearing aid, but did not use the personal FM system. 25. In conjunction with her May 2009 Auditory-Verbal Progress Report, Ms. Rothwell-Vivian submitted proposed goals for consideration at the upcoming IEP meeting for Student. The goals concerned Student’s auditory comprehension and oral expression abilities, and included the following: (1) a goal to help Student discriminate between words that differ in final consonant blends (e.g. week/weep, reason/raison, sedation/summation); (2) a goal to assist Student to distinguish between words and situations (e.g. the difference between “hurricane” and “cyclone”); (3) a goal to improve Student’s ability to hear and pronounce final consonant blends in words; and (4) a goal to help Student understand idiomatic expressions (e.g. “it’s raining cats and dogs”). 27. Karen Rothwell-Vivian testified on behalf of Student at the due process hearing. Ms. Rothwell-Vivian has 25 years of experience working with deaf and hard-of-hearing individuals as an Auditory-Verbal Therapist and Educational Audiologist. Regarding her recommendation that the District provide Student with CART services, Ms. Rothwell-Vivian stressed that Student has difficulty hearing in conditions with background noise, and, with her hearing loss, she will always need to improve her store of vocabulary. Ms. Rothwell-Vivian stated that the classes in high school are fast-paced, involving much discussion, and that Student can use CART services to understand what everybody is saying. She stated that the word-for-word transcription provided by CART will help Student take notes, build her vocabulary, better understand idiomatic expressions, and identify sounds like “ah” or “hmmm” which are otherwise not words. Ms. Rothwell-Vivian also opined that CART services will allow Student to be more fully included in her classrooms because she will not lose the context of class activity. 28. Ms. Rothwell-Vivian is highly qualified in her field and deserves much credit for her long-standing work with Student. However, for several reasons, her opinion on Student’s need for CART services was less persuasive than the opinion of Student’s teachers that she does not require further supports in the classroom in order to receive educational benefit. First, Ms. Rothwell-Vivian has not observed Student in the classroom. Second, Ms. Rothwell-Vivian admitted that she makes a standard recommendation for CART services whenever a deaf or hard-of-hearing client enters high school. 29. Cynthia Negru conducted a Speech and Language Evaluation as part of Student’s triennial assessment. Ms. Negru is a Speech and Language Pathologist with an educational background in communication disorders. She has worked for Tustin Unified School District since 2002. During Student’s attendance at Pioneer Middle School, Ms. Negru had the responsibility of monitoring her hearing aid and personal FM system. 31. In her Speech and Language Evaluation, Ms. Negru held a reciprocal interview with Student and determined that she conversed appropriately and that her conversational speech was 100 percent intelligible. Prior to her assessment, Ms. Negru had consulted with Karen Rothwell-Vivian and learned that Student had difficulty discerning words with final consonant blends (e.g. “best” and “cold”). Based upon this information, Ms. Negru performed an informal test of auditory discrimination by standing three feet behind Student and asking her to repeat two different lists of 39 words that had final consonant blends. On this test, Student repeated correctly only 79 and 85 percent of the words from the two lists. During the due process hearing, Ms. Negru admitted that a child with normal hearing would score 100 percent on this test. 32. For her evaluation, Ms. Negru requested four of Student’s eighth grade teachers to complete the CELF-4 Pragmatic Profile Questionnaire. The Questionnaire asked the teachers to rate Student in the different areas of communication, including (1) rituals and conversational skills, (2) asking for, giving and responding to information, and (3) non-verbal communication skills. For the most part, the teachers rated Student in the “Always” appropriate range. The results of this survey corresponded to the superior score that Student received on the “pragmatic judgment” subtest of the CASL. 33. For her evaluation, Ms. Negru also observed Student for 30 minutes in her Physical Science class, and for 30 minutes during her Physical Education class. In the Physical Science class, Ms. Negru observed that Student was attentive, followed instructions, talked with peers and appeared to access the instruction. In the Physical Science class, Ms. Negru watched Student participating in a softball game and saw that she was athletic, fully involved and a team leader. Ms. Negru’s observations were consistent with previous occasions when she viewed Student functioning in the classroom while attending to her FM equipment. 34. Laura Gonzalez administered several tests and prepared a Multidisciplinary Report dated June 5, 2009, for Student’s triennial assessment. Ms. Gonzalez is a licensed Educational Psychologist who has worked for the Tustin Unified School District since 2004. Ms. Gonzalez tested Student with the Universal Non-verbal Intelligence Test (UNIT), which measures a pupil’s complex memory and reasoning abilities. On the UNIT, Student obtained a full-scale IQ score of 100, which placed her in the average range of cognitive abilities. Ms. Gonzalez also administered the Wide Range Assessment of Memory and Learning, Second Edition (WRAML-2), which measures a pupil’s memory ability. On the WRAML-2, Student scored in the above-average range for verbal memory and in the average range for visual memory and screening memory. Student’s average memory screen indicated that her learning potential is within the average range and was consistent with the test results from the UNIT. 35. The Multidisciplinary Report prepared by Ms. Gonzalez incorporated the results of the Woodcock-Johnson Test of Achievement, Third Edition (WJ-III), administered by Christine Kiernan. Ms. Kiernan is a resource teacher who has worked at Pioneer Middle School for three years. The WJ-III consists of a series of achievement tests designed to measure a pupil’s academic accomplishment in the areas of reading, math, written and oral expression, and listening comprehension. On the WJ-III, Student received average scores for reading comprehension, basic reading skills, oral expression and listening comprehension. She received above-average scores for mathematical reasoning, math calculation skills and written expression. Student’s scores on the WJ-III indicated that she can function quite capably in a regular education classroom, and were consistent with the scores of memory ability from the WRAML-2 administered by Laura Gonzalez. Student’s scores on the WJ-III were also consistent with other measures of academic performance, including her grades and results from the CST. 36. On June 2, 2009, Ms. Gonzalez sent an email to Student’s eighth grade teachers. The email requested information about Student for consideration at the upcoming IEP meeting, and asked the teachers to answer the following questions: (1) Is she able to answer grade-level “Why” or inferencing questions appropriately in the class? ; (2) Is she seated in the front of the class? If yes, can she hear what is being said behind her and respond appropriately? ; (3) Does she participate in class discussions? ; (4) Does she work well in groups? ; (5) Does she use her FM system? ; (6) How do you see her hearing impairment impeding her academic progress/performance? ; and (7) Do you foresee any difficulties for (Student) as a ninth grader, considering the demands at high school? 37. The teachers provided responses which Ms. Gonzalez placed in her Multidisciplinary Report. In general, in their responses, Student’s eighth grade teachers described a model pupil who was highly motivated and enjoyed school, who paid attention, participated actively and performed well in class, who did not need further supports or accommodations to access the curriculum, and who was ready for high school. 38. Four of Student’s eighth grade teachers from Pioneer Middle School testified at the due process hearing: Melanie Miranda, John Billings, John Shafer and Christine Kiernan. 39. Melanie Miranda was Student’s Language Arts teacher for eighth grade. She has taught and served as a counselor at Pioneer Middle School since 1999. During the first semester, Student was in Ms. Miranda’s college preparatory Language Arts course, and she used her personal FM system. For the second semester, Ms. Miranda moved Student into the honors Language Arts class, and she did not utilize the FM system. There were 39 pupils in the honors class. Ms. Miranda arranged the room in a horseshoe with rows of seats facing the middle of the class. Student sat in the front row with her right ear closest to the teacher. Ms. Miranda taught the honors class through direct instruction, group discussion and work groups. Ms. Miranda described Student as a “standout” pupil. She opined that Student heard the teacher and her classmates because she paid attention, participated actively, made responsive comments and interacted with her peers. She found that Student’s note-taking skills were comparable to other pupils in the class. She stated that Student never complained that she was not hearing classroom discussion. 40. John Billings was Student’s eighth grade Social Science teacher. The class covered United States history from the colonial period to 1914. Mr. Billings has served as a U.S. History teacher within the Tustin Unified School District for 37 years. For the first semester of eighth grade, Mr. Billings taught Student in his college preparatory Social Science class. For the second semester, based upon her strong work, Mr. Billings advanced Student to his honors course. There were 38 pupils in the honors Social Science class. Mr. Billings also arranged his room in a horseshoe and Student sat in the front row near the teacher. Mr. Billings taught his history course primarily through the presentation and discussion of worksheets. He described Student as an “outstanding” pupil who made an easy transition into the greater demands of the honors class. He testified that he assumed that Student did not have difficulty hearing classroom discussion, including statements made behind her, because Student volunteered, made appropriate comments, and did not complain that she was missing material. 41. John Shafer was Student’s Physical Science teacher for eighth grade. He has taught science at Pioneer Middle School for the last seven years. Mr. Shafer taught his Physical Science course through lectures, lab work and review of homework assignments. For his lectures, like Student’s other teachers, Mr. Shafer projected written materials onto a screen. For the lab work, the class formed into small groups of four pupils to perform the assigned activities. There were 34 pupils in Physical Science, which he described as more noisy than most classrooms since he encouraged his pupils to participate. Mr. Shafer enjoyed having Student in his class since she was attentive and active. Mr. Shafer testified that he did not think that Student had trouble hearing what occurred in class because he observed that she asked appropriate questions, made appropriate comments, and performed well. 42. In addition to her duties as a resource instructor, Christine Kiernan co-taught Student’s eighth grade math class. The other teacher was Ms. Stoerger. The class was a Pre-Algebra course designed to prepare pupils for Algebra in high school. There were 36 pupils in the class. Ms. Kiernan and Ms. Stoerger arranged the room with seven rows of seats. They taught the class through direct instruction from an overhead projector, review of homework and pupil participation. The participation involved the pupils completing projects at a board in the front of the class, and breaking into groups called “Pair Share.” Ms. Kiernan described the Math class as noisy because, at times, many pupils were talking. She stated that Student did “fantastic the whole year.” Ms. Kiernan did not observe that Student had difficulty in the class, including the times that she performed problems at the board and participated in Pair Share. Ms. Kiernan also stated that Student took good notes which, at times, the teachers shared with pupils who had been absent. 43. Each teacher who testified at the due process hearing stated that he or she graded Student the same as other pupils. The Multidisciplinary Report prepared by Ms. Gonzalez contained Student’s grades as of June 5, 2009. At this time, Student was earning an “A” in Math, a “B+” in Spanish, a “B+” in honors Social Science, an “A” in honors Language Arts, a “B” in Physical Science, an “A” in Peer Assistance Leadership, and an “A+” in Physical Education. She ended the eighth grade year with an “A-” in Math, a “B+” in Spanish, a “B+” in honors Social Science, an “A-” in honors Language Arts, a “B” in Physical Science, an “A” in PAL, and an “A” in Physical Education, for an adjusted grade point average of 3.57. 44. The teachers from Pioneer Middle School who testified at the hearing evidenced skill, dedication and innovation. They are clearly excellent instructors, and each had a high opinion of Student. Their testimony was persuasive as regards the benefit Student received from her public education, and the lack of her need for additional supports in the classroom. 45. On June 5, 2009, the District convened an IEP meeting for Student. The purpose of the meeting was to discuss Student’s triennial assessment and her transition from middle school to high school, and to formulate her special education program for ninth grade. The persons who attended this meeting included Mother and Karen Rothwell-Vivian. The discussion at the June 5th meeting followed the format of the standardized IEP document utilized by the District. This discussion included a consideration of Student’s strengths, interests and learning preferences. In this regard, the IEP team described Student as “friendly, polite, active, likes school, involved in a lot of activities and is a leader at school.” Mother informed the team that Student had lost more hearing and that the family was considering a cochlear implant for her left ear. 46. The IEP team reviewed Student’s triennial assessment, including the Auditory-Verbal Services Progress Report prepared by Karen Rothwell-Vivian. From the triennial evaluation, the team discussed Student’s present levels of performance and determined that she did not have unique needs in the areas of academic, cognitive and functional skills, in communication development, and in social and emotional development. Specifically, in her Speech and Language Evaluation, Cynthia Negru determined that Student did not have deficits in the areas of semantics, syntax and morphology, pragmatics, and articulation. From the reports of Ms. Rothwell-Vivian and Ms. Negru, the IEP team recognized that Student continued to have problems producing final consonant blends in conversational speech. Ms. Rothwell-Vivian also underscored that, in terms of hearing and understanding, Student’s area of weakness was in listening with competing noise. 47. At the June 5, 2009 meeting, Melanie Miranda served in the capacity as Student’s general education teacher. Ms. Miranda reported on Student’s progress in school. She informed the IEP team that, despite not using the personal FM system for the second semester of eighth grade, Student was performing well in her classes. Ms. Miranda reported that, through her PAL course, Student volunteered as a tutor at a local elementary school. She also reported that Student was social at school dances. Ms. Miranda informed the team that, like many other eighth grade pupils, Student needed to improve in the areas of critical thinking and analytical writing. 48. The IEP team discussed the subject of goals. The team determined that Student had met the goal relating to written expression from her June 2008 IEP. Karen Rothwell-Vivian also reported that Student had met the four goals relating to auditory comprehension and oral expression that she had submitted at the June 2008 IEP. Based upon her strong showing in eighth grade, the IEP team decided that Student did not require goals in the area of academics for her freshman year in high school. Instead, from concern that Student was reluctant to report problems with the FM system, the team formulated a goal entitled “self-advocacy in relation to hearing loss” that required Student to report to her teachers when she experienced difficulty hearing in the classroom. The team also discussed the four goals proposed by Ms. Rothwell-Vivian in conjunction with her Progress Report. The proposed goals did not contain performance baselines, and the IEP team adjourned the meeting in order to permit Ms. Rothwell-Vivian to provide this information. 49. On June 15, 2009, the District reconvened Student’s IEP meeting. Based upon Student’s progress and academic proficiency, the team discussed a reduction in the amount of AVT services provided by Karen Rothwell-Vivian. At the conclusion of this meeting, the IEP team offered to provide Student a special education program that contained the following features. The team adopted five goals for Student, including the goals submitted by Ms. Rothwell-Vivian. The team offered Student AVT services through Ms. Rothwell-Vivian in the amount of one 60-minute session per week. The team offered 30 half-hour sessions of specialized deaf and hard-of-hearing consultations which involved a specialist checking with Student and her teachers. The team also offered 60 half-hour sessions of individual speech and language therapy through a District provider. 50. In addition, the District offered to place Student in the general education classroom with the following accommodations: (1) preferential seating in the classroom by placing Student with her right ear closest to the speaker; (2) preferential seating at assemblies and other large gatherings by placing Student directly in front of the speaker and next to a friend; (3) providing Student with a clear view of the teacher and instructional resources; (4) presenting new words and directions by facing Student; (5) presenting homework assignments visually; (6) providing daily announcements in writing; (7) helping Student to know who is talking or reading; and (8) providing Student with an extra set of textbooks. The team also discussed and recommended that Student utilize a personal FM system in high school, but Mother stated that Student did not want to wear such a system. 51. At both the June 5 and 15, 2009 IEP meetings, Mother requested the District to provide CART services for Student at the beginning of high school in her academic classes. Mother stated that she was requesting the CART technology because she was concerned that Student would not follow classroom discussions in high school, and that she would miss much incidental information conveyed in class. Mother again provided the IEP team with information on real-time captioning. Melanie Miranda echoed Mother’s concerns by informing the team that there are quantitative and qualitative differences in classroom discussion between the eighth and ninth grades, and that Student may struggle with the pace of discussion in high school. However, based upon Student’s strong performance in eighth grade, the IEP team decided to defer a decision on whether to provide Student with transcription services in high school. Instead, the team informed Mother that the District wanted to assess Student in the high school environment to determine the need for assistive technology and additional services. 52. To date, Parents have not provided consent to the June 2009 IEP for Student. 53. Francine Wenhardt is the Coordinator of Special Education for Tustin Unified School District. Ms. Wenhardt has worked in different capacities for the District since 2003. She attended and facilitated the June 2009 IEP meetings for Student. Ms. Wenhardt testified at the due process hearing and elaborated upon the team’s response to Mother’s request for CART services. Ms. Wenhardt explained that Student’s IEP team did not disagree with the CART request. Instead, the team wanted to evaluate the request in the high school setting. This evaluation would address characteristics of Student’s classrooms, including the number of pupils, the style of teaching, the nature of the discussion and the acoustics. The evaluation also would consider Student’s performance in her classes. In addition, the IEP team wanted to explore other assistive technology options, including an improved personal FM system and a speech-to-text technology called TypeWell. 54. Mother testified at the due process hearing and further explained her request that the District provide Student with CART services in high school. Mother is aware of other pupils in Southern California who use CART in school. In fact, Mother obtained the real-time captioning information provided to Student’s IEP team from parents who were successful in obtaining CART services for their daughter in high school. Mother has seen Student struggle at understanding fast-paced conversation. She has also seen her daughter suffer from use of the personal FM system. Mother had concerns that Student was not hearing and learning “incidental” information in her classrooms. Mother wanted Student to have an “age-appropriate” technology through which she could maximize her potential and receive straight “A”s in high school. Mother believed that, as a hard-of-hearing pupil, Student deserved assistance which amounted to equal communication access with normal hearing pupils and that CART services was the sole technology that meets this standard. 55. On June 18, 2009, Ms. Wenhardt prepared and sent to Mother an Individual Assessment Plan for Student. The purpose of this assessment plan was to determine the need for real-time captioning services for Student in high school. The plan described the scope of the evaluation as follows: “Assessment may include review of records, audiological assessment, classroom observations, trial technologies, teacher interviews, Student interview, review of work samples, other testing deemed appropriate by assessors.” The plan designated that the persons responsible for performing the evaluation were a District Audiologist and Speech and Language Pathologist. 56. Mother did not provide consent to this assessment plan. Mother testified that she was frustrated because she had raised the issue of real-time captioning services at Student’s June 2008 IEP, giving the District a year to consider the matter, yet Student’s IEP team was not ready to discuss, much less provide CART services at the June 2009 meetings. Mother also testified that the June 18, 2009 assessment plan did not set forth the specific audiological tests that the District Audiologist wanted to perform. 57. On July 31, 2009, OAH received the Complaint in this matter. Under special education law, when parents bring a due process proceeding, the named school district must hold a Resolution Session with the purpose of attempting to settle the issues in the complaint. In this case, the District held a Resolution Session on August 20, 2009. The persons who attended this meeting were Mother, Francine Wenhardt, and Lori Stillings who is an Assistant Superintendent of Special Education for Tustin Unified School District. Among the subjects of conversation at the Resolution Session, the parties discussed the June 18, 2009 assessment plan. Ms. Wenhardt explained that the assessment would include observations of Student by an Audiologist under contract with the District and by a District Deaf and Hard-of-Hearing (DHH) specialist. She also explained that the proposed evaluation would include interviews with Student and her teachers, and a review of available audiological information. 58. With the consent of Mother, the August 20, 2009 Resolution Session was also an IEP meeting. The parties discussed the team’s proposed reduction in time of AVT services provided by Karen Rothwell-Vivian, and the replacement of this time with District-based speech therapy. Mother did not want Student removed from class, and she declined the offer of speech therapy. The parties also discussed the team’s offer to provide Student with DHH consultation services in order to monitor her progress in class. Mother also declined this offer. Instead, the District offered Student 10 half-hour on-site consultations by a Resource Specialist. With these modifications, despite the lack of parental consent, the District implemented Student’s June 2009 IEP for her ninth-grade school year. 59. On August 28, 2009, Student presented for an audiological evaluation at Shohet Ear Associates. For this evaluation, the Shohet Audiologist tested Student’s right ear with the cochlear implant and determined that she can access speech sounds. The audiologist also tested Student’s left ear with and without her hearing aid. The audiogram from this evaluation showed that, aided, Student has mild to profound hearing loss in the left ear, but that she can detect sounds in the speech spectrum at 250, 500 and 1,000 hertz. Unaided, Student has severe to profound hearing loss in the left ear. Mother did not share the audiogram from this evaluation with the District until October 20, 2009. 60. For the 2009-2010 school year, Student has attended ninth grade at Beckman High School. For both semesters, she has taken the following regular education courses: English I, Algebra I, Earth Science, Ancient Civilizations, Spanish I and Physical Education. The English I and Ancient Civilizations courses are honors classes. For the first semester, Student was in Basketball, and for the second semester she has participated in Track. Student started the first semester in Spanish II but, at the recommendation of her teacher, at mid-semester she moved to Spanish I. Student has attended her high school classes without the assistance of a personal FM system. 61. On October 3, 2009, Francine Wenhardt prepared and sent a letter to Mother. The letter concerned the parallel issues of Mother’s request for CART services and the District’s interest in improving Student’s FM system. The letter described the scope of the June 18, 2009 assessment plan as follows: (1) an observation of Student in her academic classes by District personnel; (2) interviews of the teachers in Student’s academic classes to determine her level of functioning; (3) an interview of Student; (4) consultation with the District Audiologist and the House Ear Institute concerning Student’s cochlear implant, hearing loss and FM system; and (5) a trial implementation of a real-time captioning system in one or more of Student’s academic classes. Regarding the Audiologist, the letter stated that the District wanted Mother to take Student to Dr. Abramson for an updated audiological evaluation which would include a troubleshoot of Student’s personal FM system. Regarding the proposed trial of a real-time captioning system, the letter informed Mother that the District was willing to implement TypeWell. The letter also proposed an IEP meeting to discuss Student’s transition into Beckman High School. 62. TypeWell is a speech-to-text technology that differs from the CART system. With TypeWell, a trained transcriber uses a computer with an abbreviation software to capture the conversation and sounds in a classroom and other settings. The TypeWell transcriber condenses matters into a meaning-for-meaning transcription, rather than the verbatim word-for-word caption produced with CART. The TypeWell transcription then appears on a separate computer screen for the person who is using the service. As an example, if a teacher states four sentences to convey two ideas, the TypeWell transcriber will “chunk” the transcription to provide a description of the content, but with a reduction in the amount of text. 63. Chanel Carlascio testified on behalf of the District at the due process hearing. Ms. Carlascio operates a company called Strada Communication, Inc., which is located in Vancouver, Washington. Strada provides communication access for deaf and hard-of-hearing persons through speech-to-text technology like TypeWell and CART. Ms. Carlascio is a trained TypeWell transcriber. She has provided TypeWell services for pupils in both high school and college. For these pupils, she described the benefits of TypeWell to include instant access by the student to both conversation and sounds in the classroom, an improved ability to take notes, and the availability of a written transcript. 64. On October 22, 2009, the District convened an IEP meeting for Student. The persons who attended this meeting included Student and Mother. The purpose of the meeting was to review Student’s transition into high school. In a letter to Mother dated October 16, 2009, Ms. Wenhardt added that the review would include consideration by the IEP team of a trial of transcription services and whether Student required such services. To this end, the October 22nd IEP team included several of Student’s ninth grade teachers, including Sara Grexton and Allison Lowenstein. Ms. Grexton teaches Student’s honors English I class. Ms. Lowenstein is the instructor in Student’s honors Ancient Civilizations course. 65. At the IEP meeting, the teachers made comments on the status of Student in their respective classes, and Student and Mother then responded. Ms. Grexton reported that Student was performing well in her class, that she participated and asked great questions and that her grade was at 89.8 percent (“B+”). In response, Student stated that she did not hear everything in the English class, especially classmates seated behind her and to the left. Ms. Lowenstein reported that Student participated well in the Ancient Civilizations class which she teaches in a portable classroom. In response, Student informed the team that she has a harder time hearing in a portable and that she is sometimes reticent to speak because she is not certain of what her classmates have said. Mother stated that Student would perform better in Ms. Lowenstein’s class if she could hear more. The teachers responded to the comments by Student and Mother with suggestions for improvement such as printing power point presentations, repeating the statements of soft-spoken classmates, and providing notes in advance. 66. At the October 22nd IEP meeting, the team discussed the issue of Student’s FM system. District personnel informed Student and Mother that the team wanted to explore different technologies and make the FM system operational. Student and Mother balked at this suggestion. Student stated that, if a personal FM system is used and the teacher attempts to pass a microphone around the classroom, the shyer pupils will not speak. Mother stated that, quite aside from a functioning FM system, she wanted Student exposed to all the vocabulary used in her classrooms. The team concluded the meeting by offering Student a sound-field and/or personal FM system, together with the services of a District Audiologist to maximize the functionality of the system. 67. At the October 2009 meeting, the IEP team also discussed the issue of real-time captioning services for Student. In particular, the team offered Student a trial of TypeWell. In response, Student informed the team that she believed that she would benefit from captioning because she is a good reader. Mother stated that she was concerned that the meaning-for-meaning transcription of TypeWell would “dumb-down” the classroom discussion and not provide Student with access to the higher level of vocabulary used in class. Mother also requested a trial of CART services for Student. 69. On December 1, 2009, Mother signed her consent to the long-debated District assessment of Student to determine the need for transcription services in high school. The scope of the assessment included observations of Student in her classes, interviews with her instructors, a trial of transcription services and an audiological assessment as needed. The trial of transcription services included both CART and TypeWell. The District conducted these trials in Student’s two honors courses during the month of February 2010. For the observations, Gwen Berhstock, School Psychologist for the District, and Raquel Rasmussen, the District DHH Specialist, viewed Student in her Algebra, English and Ancient Civilization classes. Misty Jones, the Resource Specialist, observed Student in her Earth Science and Ancient Civilizations courses. The observations occurred during January and February 2010. 70. On December 11, 2009, Student presented to Megan Greenya, a Doctor of Audiology at Shohet Ear Associates, for a speech perception evaluation. The purpose of the evaluation was to measure Student’s speech perception abilities in conditions of quiet and with background noise. Dr. Greenya evaluated Student with two tests: (1) the Hearing in Noise Test (HINT) and (2) the QuickSIN Speech-in-Noise Test (QuickSIN). For both tests, Student had her cochlear implant and hearing aid. The HINT evaluated Student’s hearing in different test conditions that included a lack of noise and competing noise from different directions. Student scored a “fail” in each of the HINT test conditions. The QuickSIN evaluated Student’s ability to hear in noise through measurement of a signal-to-noise ratio. Student scored a relatively high signal-to-noise ratio which indicated that she requires amplification and assistive measures to improve her understanding of speech. 71. Dr. Greenya testified at the due process hearing. She explained that, as a person with a cochlear implant, Student has difficulty discerning the meaning of environmental sounds such as the noise of an air conditioner and the opening and closing of doors. Dr. Greenya also stated that, based upon her speech perception testing, Student has difficulty hearing and understanding speech when there is competing noise. Dr. Greenya testified that, based upon the results of the HINT and QuickSIN evaluations, she expected that Student would do poorly in school even with a cochlear implant and hearing aid. To the extent that the latter opinion was offered to support Student’s request for CART services, the opinion was not helpful because Dr. Greenya has not observed Student in school, and, rather than doing poorly, Student is excelling in the classroom. 72. At the end of the first semester, Student received the following grades in her ninth-grade classes: a “B+” in honors English, a “B” in Spanish I, a “C” in Algebra I, a “B” in Earth Science, a “B” in honors Ancient Civilizations, and an “A” in Physical Education (Basketball). 74. On February 26, 2010, the District convened an IEP meeting for Student. The persons who attended the meeting included Student, Mother and the attorneys for the respective parties. The purpose of the meeting was to review the Multidisciplinary Asssessment Report of the same date and make a decision on Mother’s request for CART services. 75. Student played an important role at this IEP meeting. She reported that she can hear the teachers in her classes, but that she has trouble hearing classmates. She informed the team about her impressions from the trial of transcription services. While she liked both TypeWell and CART, she preferred the word-for-word system because she was able to read exactly what other pupils were saying. She stated that she referred to the computer screen which contained the transcriptions when she did not hear a statement; and that she also looked at the screen to obtain clarification of the class discussion. She asked for a longer trial of the CART system. With reference to a discussion about improving her FM system, Student informed the team that she is not willing to use an FM system in the classroom. The teachers in Student’s honors courses commented on the feasibility of passing a microphone about the room as part of a personal FM system, and informed the team that the class discussion is too rapid for a pass-around microphone to be beneficial. 76. At the conclusion of the February 26, 2010 meeting, the IEP team decided that Student did not require transcription services in order to receive a free appropriate public education. The special education program offered by the District remained the placement, accommodations and related services set forth in Student’s June 2009 IEP, as modified by the agreements relating to speech therapy and DHH consultation reached at the Resolution Session of August 20, 2009. The team also continued to recommend improvement and use of an FM system in order to enhance Student’s ability to hear in her classes. 77. Student testified at the due process hearing. Student’s testimony concerned her involvement in her academic classes, and did not include references to social situations or extracurricular activities at school. Student reiterated that in the classroom for the most part she can hear and understand her teachers, but that she has difficulty hearing her classmates. This difficulty increases if the classmate speaks softly or sits in the rear of the room. Student states that she rarely asks a teacher for clarification because she does not want to impose or draw attention to herself. In this vein, she stated that often she will nod in agreement or laugh when other pupils are laughing in order to fit-in. Student stated that she has difficulty taking notes when the teacher gives a lecture from a power point presentation because she must focus on the teacher rather than the projected material. Student also stated that at times a teacher will present a video that does not contain captions, and that she has difficulty following such videos. She stated that her personal FM system was not helpful because she heard many unwelcome noises. She stated that she prefers CART over TypeWell because CART makes the class easier to follow and she can see exactly what people have said. 78. Four witnesses from Beckman High School testified at the due process hearing: Sara Grexton, Allison Lowenstein, Tracy Scott and Misty Jones. 79. Sara Grexton has taught English at Beckman High School since 2006. Her honors English I course this year has 27 pupils. She has arranged the class with rows of seats facing the middle of the room. Student sits in the front row where she is near the instructor and has visual access to much of the room. The honors English I course involves the study of literature, the writing of essays and the making of presentations. Ms. Grexton’s teaching consists of lectures, class discussions and small work groups. She described Student as a strong performer with an outstanding work ethic. She stated that Student’s relative weakness was in the area of critical thinking and writing. Regarding classroom discussion, Ms. Grexton stated that Student commonly turned to face the classmates who were speaking. She testified that, from her perspective, Student heard and understood the discussion in her classroom because she participated actively, made appropriate comments and performed well. She stated that Student never approached her outside of class to ask for help or seek clarification on matters that she did not hear in class. She opined that Student did not need further supports or accommodations to access the curriculum in her class. 80. Allison Lowenstein has taught Social Studies at Beckman High School since 2007. Her honors Ancient Civilizations course this year has 39 pupils. She has arranged the class by forming rows of seats in a horseshoe, and Student sits in the front row. The course involves the study of the important civilizations in history. Ms. Lowenstein teaches the class through lectures, desk activities, class discussion and small-group activities. Transcripts of the CART trial in her room show that the class discussion can get boisterous. Ms. Lowenstein described Student as very capable. She stated that, from her perspective, Student understood what transpired in class because she followed directions, made relevant comments, completed assignments in a timely manner, and earned a good grade. Ms. Lowenstein has attempted to improve the room acoustics for Student by ensuring that during class the door to the portable is closed and the air-conditioning unit is not operating. She opined that Student did not need further supports or accommodations to access the curriculum in her class. 81. Tracy Scott is the teacher in the Earth Science class attended by Student. Ms. Scott has taught science classes at Beckman High School since 2007. The Earth Science class has 36 pupils. Ms. Scott has arranged the class with five rows of tables facing the front of the class. Student sits at a table in the front row. Ms. Scott teaches Earth Science through lectures, homework review and laboratory assignments. Like other instructors, Ms. Scott gives lectures in conjunction with power point presentations. She described Student as an excellent pupil who has a positive attitude and works well with classmates in lab activities. Ms. Scott testified that, from her perspective, Student’s hearing impairment did not impede her access to the class because she is always focused, asks and answers questions, takes notes and earns good grades. At the time of the October 22, 2009 IEP meeting, Student had an “A” in the class. Ms. Scott stated that Student has not told her that she has problems hearing either during class or lab assignments. She opined that Student has had access to the curriculum and benefited from the instruction in the Earth Science class. 82. Misty Jones has been a teacher and resource specialist at Beckman High School for the last six years. She works with special needs pupils who are entering high school. She is the Case Carrier for Student this school year. In this capacity, Ms. Jones has met with Student and her teachers both before and after the October 22, 2009 IEP meeting. Ms. Jones conducted these brief meetings in order to determine whether Student was experiencing any difficulties at school. Ms. Jones specifically asked Student if she was having trouble hearing in the classroom. Other than noise in the Ancient Civilizations course, Student answered in the negative. Ms. Jones made a point to visit this class and ensure that the door was closed and the air conditioner turned off. Ms. Jones also specifically asked Student’s instructors if they thought that Student was not hearing classroom discussion. The teachers reported that they had no concerns in this regard. 83. The instructors from Beckman High School who testified at the hearing evidenced skill and competence. Like their counterparts at Pioneer Middle School, they are manifestly excellent instructors, and each had a high regard for Student. Their testimony was persuasive as regards the benefit Student was receiving from her high school education, and the lack of need for additional supports in this setting. 8. An assistive technology device means any item, piece of equipment or product system that is used to increase the functional capabilities of a child with a disability. (20 U.S.C. § 1401(1); 34 C.F.R. § 300.5 (2006).) In this case, Student’s FM system, as well as both CART and TypeWell transcription services are assistive technology devices. 10. The United States Supreme Court has established a two-part test to determine whether a school district has provided a disabled pupil with a FAPE. (Board of Education of Hendrick Hudson Central School Dist. v. Rowley (1982) 458 U.S. 176 [102 S.Ct. 3034, 73 L.Ed.2d 690] (Rowley).) First, in an administrative due process proceeding, the ALJ must determine whether the school district has complied with the procedural requirements of the IDEA. (Id. at p. 206.) In this case, Student has raised two issues of procedure: (1) whether Tustin Unified School District assessed Student’s need for CART services and (2) whether the District properly considered Student’s request for CART services in the development of her June and October 2009 IEPs. 11. Second, the ALJ must determine whether “the individualized education program developed through the Act’s procedures (is) reasonably calculated to enable the child to receive educational benefit.” (Rowley, supra, at pp. 206-207.) This rule of substance is called the “educational benefit standard.” (J.L. v. Mercer Island School Dist. (9th Cir. 2010) 592 F.3d. 938, 950-951.) Here, Student has challenged the substance of the special education program offered by the District in the June and October 2009 IEPs. 12. Federal and State law also require a school district to provide special education in the least restrictive environment. This means that a school district must educate a special needs child with non-disabled peers “to the maximum extent appropriate.” (20 U.S.C. § 1412(a)(5)(A); 34 C.F.R. § 300.114(2006); Ed. Code, § 56040.1, subd. (a).) In this case, Student is fully included in the regular education setting. Issue No. 1: Did the District fail to assess Student’s need for CART services at the June 2009 and October 2009 IEP Meetings? 13. Student contends that the District erred by not conducting an assessment of her need for CART services by the time of the June 5, 2009 IEP meeting, and, thereafter, for the October 22, 2009 IEP meeting. 14. Special education law recognizes a distinction between the “initial assessment” of the special needs child and the subsequent “reassessment” of the child. This distinction is explained as follows by the federal Office of Special Education and Rehabilitation Services, Department of Education: “An initial evaluation of a child is the first complete assessment of a child to determine if the child has a disability under the Act, and the nature and extent of special education and related services required. Once a child has been fully evaluated, a decision has been rendered that a child is eligible for services under the Act, and the required services have been determined, any subsequent evaluation of a child would constitute a reevaluation.” (71 Fed.Reg. 46640 (Aug. 14, 2006).) Under this authority, an evaluation of Student’s needs for CART services would constitute a reassessment of her special education needs. 16. The District did not commit a procedural violation by not performing an assessment of Student’s need for CART services. For the June 2009 IEP meeting, the District performed a thorough and complete triennial evaluation of Student which included formal and informal tests, a record review, teacher input and classroom observations. Prior to the June 2009 IEP meeting, Parents had not requested the District to assess for the need for real-time captioning services. In addition, except for Mother’s June 2008 request that the District provide CART services in high school, there were no indications that Student’s educational or related service needs required speech-to-text technology. At the time of the June 5, 2009 IEP meeting, Student was finishing the eighth grade. Both her good marks and the uniformly positive teacher input indicated that Student was accessing the curriculum and benefiting from her education. In addition, the triennial assessment further confirmed that Student was achieving according to her native talents and that she did not display deficits in any area of academics. 17. For the October 22, 2009 IEP meeting, the District made a good faith attempt to evaluate Student’s need for CART services in the high school setting, but Mother did not consent to such assessment. Before a school district can perform a reassessment, parental consent is required. (20 U.S.C. § 1414(c)(3); 34 C.F.R. § 300.300(c)(1)(2006); Ed. Code, § 56381, subd. (f)(1).) Here, on June 18, 2009, the District submitted an assessment plan to determine Student’s need for real-time captioning services in high school. The assessment plan explained that the evaluation would include classroom observations, teacher input and a trial of transcription technologies. On August 20, 2009, at the Resolution Session in this matter, Mother and District personnel discussed the proposed assessment. On October 2, 2009, Francine Wenhardt further described the parameters of this assessment. Despite these efforts, consent was not forthcoming. Parents cannot complain that the District failed to perform a procedure that they did not allow to occur. 18. The determination that the District did not commit a procedural violation with regard to the assessment of Student’s need for CART services is supported by Findings of Fact, paragraphs 1 through 69, and Conclusions of Law, paragraphs 1 through 17. Issue No. 2: Did Tustin Unified School District fail to properly consider providing CART services for Student at the June 5, 2009 and October 22, 2009 IEP meetings? 19. Student contends that the District failed to properly consider Mother’s request for CART services at the June and October 2009 IEP meetings. 20. Student’s contention that the District failed to properly consider her request for CART services challenges the District’s development of her IEP for the current school year. One of the important procedures in the IDEA and companion State law concerns the development of a child’s IEP. Federal and State law require that, in developing an IEP, the team must consider both general and special factors. (20 U.S.C. § 1414(d)(3); 34 C.F.R.§ 300.324(a)(2006); Ed. Code, § 56341.1.) The general and special factors are stated in broad terms, and do not include the requirement to consider a specific service, program option or parental request. 30. The District did not commit a procedural violation in the development of Student’s IEP for her freshman year in high school. At Student’s June and October 2009 IEP meetings, the team reviewed her triennial assessment, received input from Mother and teachers, discussed Mother’s request for CART services, proposed assessments relating to the need for real-time captioning services and improvement of the FM system, and formulated Student’s special education program for ninth grade. Through this activity, Student’s IEP team considered the overlapping general and special factors, including the specialized considerations mandated in California law, that a school district must consider in developing the individualized education program for a deaf or hard-of-hearing pupil. 31. The triennial assessment of Student included formal tests that evaluated her cognitive abilities (the UNIT), memory skills (the WRAML-2) and academic achievement (the WJ-III). The triennial assessment included a Speech and Language Evaluation that measured Student’s receptive and expressive language skills through formal (the CELF-2 and the CASL) and informal tests. The triennial evaluation included a Progress Report prepared by Karen Rothwell-Vivian who tested Student in the areas of vocabulary, word retrieval and the understanding of standard English. Ms. Rothwell-Vivian also tested Student’s auditory memory skills. The triennial assessment included teacher input and classroom observations. By reviewing the triennial assessment at the June 2009 IEP meeting, the team considered the following general and special factors that a team must consider in developing an individualized education program for a deaf or hard-of-hearing child: Student’s strengths; the results of her most recent evaluation; her academic, developmental and functional needs; her communication needs; and her primary language mode. 32. At the June 2009 IEP meeting, Student’s team discussed and adopted goals for her freshman year in high school. One goal required Student to advocate for herself in the event that she did not hear or understand what occurred in class. Karen Rothwell-Vivian provided four goals relating to auditory comprehension and oral expression, including an effort to improve Student’s discernment and articulation of words with final consonant blends and her understanding of idiomatic expressions. The discussion and adoption of such goals constituted a consideration of Student’s academic and communication needs; the development of the proficiency of her language mode; and her ability to communicate with language mode peers. 33. At the June 2009 IEP meetings, the team offered Student a special education program that consisted of placing her in a general education classroom with accommodations, resource help and auditory-verbal therapy. By discussing and developing this program, Student’s team considered the following general and special factors that a team must consider in developing an individualized education program for a deaf or hard-of-hearing child: Student’s academic, developmental and functional needs; her communication needs; her full range of needs including opportunities for direct communications with peers and professionals in her language mode; the development of the proficiency of her language mode; and appropriate access to all components of the educational process. Further, the special education program offered to Student respected her chosen mode of communication. 34. Finally, at the June and October 2009 IEP meetings, Student’s team considered different methods to improve the classroom setting for her. At both the June and October 2009 IEP meetings, the team discussed and recommended the improvement of the FM system for use by Student in class. At the June 2009 IEP meeting, Mother discussed her request for CART services and provided the team with written material on real-time transcription. The team also reviewed Ms. Rothwell-Vivian’s Progress Report which contained a recommendation that Student receive CART services. At the conclusion of the June 2009 meeting, the IEP team informed Mother that the District wanted to assess Student’s need for speech-to-text services in high school. Subsequently, at the October 22, 2009 IEP meeting, Mother further discussed her request for CART services and the team offered a trial of TypeWell. The discussion of the FM system and real-time transcription technologies constituted a consideration of whether Student needed assistive technology devices and services. Such discussion also satisfied the IEP team’s duty to consider and discuss services and program options that would provide Student with an equal opportunity for communication access and ensure communication-accessible academic instruction and school services consistent with Section 504 of the Rehabilitation Act and Title II of the ADA. 35. Mother objected to the District’s request to perform an audiological evaluation and assess the need for transcription services in the high school setting, in large part, because she thought that the District was placing too much emphasis on the FM system. However, such assessment requests were consistent with the duty of a public entity to undertake a fact-specific investigation upon receiving a request for a public accommodation. (Duvall, supra, 260 F.3d at p. 1139.) The party who requests a reasonable accommodation has a corollary duty to cooperate with such investigation. (L. L.-M. ex rel Liedtke v. Dieringer School (W.D. Wash. 2008) 614 F.Supp.2d 1152, 1161.) Here, the District acted consistently with the mandates under Education Code section 56345, subdivision (b)(4), by exploring different services that would provide communication-accessible educational services for Student, including the FM system, TypeWell and CART. 36. The determination that the District did not commit a procedural violation in the development of Student’s IEP is supported by Findings of Fact, paragraphs 1 through 67, and Conclusions of Law, paragraphs 1 through 12 and 19 through 35. Issue No. 3: Did the Tustin Unified School District deny Student a FAPE by not providing CART services in her June and October 2009 IEPs? 37. Student contends that the District failed to provide a substantive FAPE in the special education program provided in her June 15, 2009 IEP because the program did not contain an offer of CART services. Student further contends that the standards set forth in Education Code sections 56000.5 and 56345, subdivision (d), mandated that the District provide Student with a special education program that guaranteed direct and equal communication access in the classroom. These State statutes are referenced and discussed in Conclusions of Law, paragraphs 23 through 29. Education Code section 56000.5 contains legislative findings and declarations concerning deaf and hard-of-hearing pupils. Education Code section 56345, subdivision (d), contains standards for an IEP team that is developing a special education program for a deaf or hard-of-hearing child. These statutes do not establish the substantive standard that a school district must meet in providing a deaf or hard-of-hearing child with a FAPE. 43. In determining whether an IEP was reasonably calculated to provide educational benefit, a tribunal must measure the IEP when it was drafted. (Adams v. State of Oregon (9th Cir. 1999) 195 F.3d 1141, 1149.) Here, the District formulated Student’s freshman-year special education program at the June 2009 IEP meeting. The October 22, 2009 IEP meeting focused on Student’s transition into high school. 44. The special education program set forth in Student’s June 2009 IEP was reasonably calculated to provide her with educational benefit. This program did not require CART services in order to enable Student to achieve passing marks and advance to the tenth grade. 45. The special education program developed at the June 2009 IEP meeting followed the model of the program from the previous year. Student’s June 2008 IEP offered a specialized program that consisted of general education classes with accommodations, resource assistance and AVT. Student had thrived under this program, transferring into and succeeding in two honors courses, and completing the second semester with high marks even while eschewing the use of her FM system. The IEP team continued with this program model after a review of Student’s triennial assessment. The results of the triennial evaluation showed a pupil who was achieving in accordance with her cognitive and memory abilities. The results of the academic achievement testing in the WJ-III were consistent with Student’s grades, her CST scores and teacher input. The results of evaluations in the areas of cognition, memory and language did not show areas of deficit. The testing of Ms. Rothwell-Vivian and Ms. Negru did show that Student had trouble in several areas of expressive and expressive language, including words with final consonant blends and idiomatic expressions. The June 2009 IEP addressed these trouble spots with specific goals adopted by the team. 46. The District established that Student is receiving educational benefit from the June 2009 IEP. By all accounts, she has made a smooth transition into high school. She is achieving passing grades and performing well in two difficult and fast-paced honors courses. Her teachers report that Student does not evidence difficulty hearing and understanding what is occurring in class: she is on-task, attentive, organized, makes appropriate comments and interacts well with peers. With few exceptions, her instructors also report that Student has not complained that she is not hearing or understanding classroom instruction and discussion. 47. Student established that she does not hear everything that is said in her classrooms. In particular, she has difficulty hearing and understanding statements made by peers who sit behind her. Student also established that she has difficulty hearing and understanding speech when there is competing noise. However, in line with the District’s February 26, 2010 assessment report, the evidence established that Student hears and understands well enough to access the curriculum and perform well in each of her courses. 49. The determination that the District provided Student with a substantive FAPE in the June 2009 IEP, even without the provision of CART services, is supported by Findings of Fact, paragraphs 1 through 83, and Conclusions of Law, paragraphs 1 through 12 and 37 through 48. The decision in a special education administrative due process proceeding must indicate the extend to which each party prevailed on the issues heard and decided. (Ed. Code, § 56507, subd. (d).) The District prevailed on the issues presented for hearing and decision in this matter.